A few number of people were feared killed by suspected killer herdsmen in Barkin Ladi and Riyom local government areas of Plateau State between Saturday night and yesterday. This is coming just as the state government has imposed a dusk-to-down curfew in Barkin Ladi, Riyom and Jos South local government areas of the state. In recent times, there had been relative peace in Plateau State, with no gory attacks like the ones that happened between September 2017 and February 2018 when some villages in Bassa local government area were attacked by suspected killer herdsmen in what was described as genocide. But that relative peace was cut short yesterday when suspected killer herdsmen invaded no fewer than nine Berom villages in Riyom and Barkin Ladi local government areas of the state at night and slaughtered scores of women, children, including the aged. LEADERSHIP gathered that the bandits burnt houses after the killing of the occupants. A statement signed by the secretary to the government of the state, Rufus Bature, noted that the curfew imposed by the state governor is to take immediate effect to forestall further break down of law and order in the affected areas. Also, the Plateau state commissioner for information, Yakubu Datti, said Governor Simon Lalong has cut short his participation at the All Progressives Congress (APC) national convention in Abuja to take charge of the security situation in the state, particularly some communities in Barkin Ladi local government area. According to a statement he issued yesterday, Datti said the governor has directed the security chiefs in the state to checkmate the assailants, even as he condemned the attack and commiserated with the victims. As at the time of filling this report, Airforce surveillance jets were seen hovering around Barkin Ladi and Jos south local government areas with the view to scare the attackers away from committing further havoc. The villages that came under attacks that left human corpses littered everywhere are Gashish, Heipang, Razat, Ruku, Nyarr Gana Ropp, and Shonum. An eyewitness who spoke with our correspondent on phone said the attackers, dressed in military uniform, were shooting sporadically and gunning down any living thing they see. Confirming the development, the Secretary General of the Berom Education And Cultural Organisation (BEFO), Davou Choji, said at the last count, over 100 corpses were recovered from burning houses, while others recovered in the bushes and rocks had gunshot and machete wounds. He added that those who sustain various degrees of injuries have been taken to general hospital Barkin Ladi for treatment. Choji noted that presently there is mass movement of people from the affected villages to the local government headquarters to seek refuge. According to him, people have deserted the entire Berom villages in Barkin Ladi and Riyom local government areas for fear of being attack by the suspecting herdsmen. He said, “As I am talking to you right now the number of casualties is more than 200, as recovery process is still ongoing, even till tomorrow. I am calling on the state and federal government to deploy more security operative to the troubled villages”. “Corpses numbering over 100 have been recovered in Plateau State communities of Xland, Gindin Akwati, Ruku, Nghar, Kura Falls and Kakuruk all in Gashish district as well as Rakok, Kok and Razat villages, all in Ropp district of Barkin-ladi local government area”. A source who did not want his name in print said he was made to understand that the security operatives in the area were overwhelmed and could not do much to contain the attackers. But the Plateau State Police Command said 86 persons were killed in Barkin Ladi local government area of the state. In a statement issued yesterday night, public relations officer of the state Police Command, ASP Tyopev Terna, also said that six persons were injured, with 50 houses razed. “Eighty six (86) persons altogether were killed, six people injured, fifty (50) houses burnt, fifteen (15) motorcycles burnt down; two (2) motor vehicles burnt down,” the Police noted. Tyopev said the dead bodies were discovered by a search party set up by the Plateau State commissioner of police, Undie Adie. “Sequel to the attack in Gashish District of Barkin Ladi LGA yesterday (Saturday) 23/06/2018, the commissioner of police Plateau State Command, Jos, CP Undie Adie, after deploying more personnel to the district sent a search and rescue team from the Command headquarters today for on the spot assessment,” it said The police had earlier announced that 11 persons were died. Meanwhile, the Plateau state branch of the Peoples Democratic Party (PDP) described the killings as genocide, saying it received the news with rude shock. In a statement issued in Jos and signed by Mr John Akans, publicity secretary of the party, and made available to journalists, PDP alleged that over 130 people were killed by those it described as enemies of the state. “We condemn in the strongest terms the level of continuous genocide of Plateau people. At the moment Barkin Ladi is under siege by these marauders with over 130 people feared to have been killed. As at time of this statement, the (SOM) CAPRO School of missions Gana-Ropp is under heavy attack by these militias”, the statement noted. Describing the incident as a collective collaboration against the people, PDP stressed that “this unholy act of systematic genocide and the destruction of the cultural heritage of plateau people must stop”. In the past, there had been intermittent attacks and killings in several villages on the outskirts of Jos, dating as far back as 2001 when episodes of mass violence in the state left hundreds of people dead and communities isolated. In April 2014, 13 people were killed, with over 30 houses burnt in the Ryom local government area in Plateau State. On May 20, 2014, twin bombs in the city of Jos killed 100 people, while in July 2015, a double bomb blast killed 44. 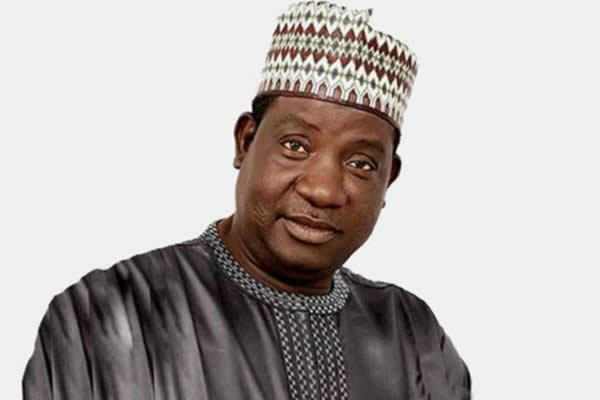 Stakeholders Lament, Call For Frontal Action To End Killings Piqued by the renewed killings in Plateau State by suspected killer herdsmen, stakeholders in the state have urged Governor Simon Lalong to take decisive action to stop killings in the state. They urged Lalong to improve his relationship with security agencies saddled with the responsibility of providing security in the state. They accused the governor of being complacent with security of the state, urging him to develop a political will with a view to ending killings of innocent citizens. Addressing the media in Jos after undertaking an on-the-spot assessment of villages attacked by the suspected herdsmen yesterday in Barkin Ladi and Riyom local government area, the stakeholders under the aegis of Plateau Concerned Professionals Forum (PCPF) insisted that Governor Lalong must consolidate on the existing relationship with the security formations. Speaking through the convener, Dr Pam Chuwang, the group decried the renewed killings in some parts of the state, describing the action as not only barbaric and reprehensible but also untenable and unacceptable. Reading a prepared text before newsmen in Barkin Ladi, Chuwang said, “The Plateau Government needs to urgently develop the political will to end these killings in the state. How can people be killed like animals just like that? “While we focus on the appeal for a total non reoccurring situation in the state, it is important to call on the state government to further consolidate on the existing relationship with the security formations in the state, particularly Operation Safe Haven (OPSH), the Nigeria Police Mobile Force and the Department for State Service (DSS) to bring to the barest minimum, these unfortunate incidences”.